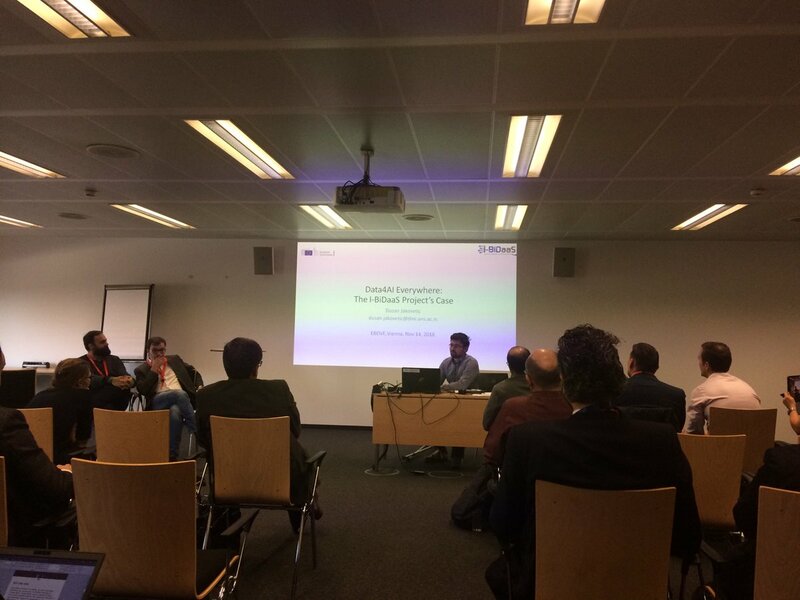 I-BiDaaS Scientific Manager Prof. Dusan Jakovetic, Dr. Giorgos Vasiliadis and Prof. Srdjan Skrbic participated at the EBDVF session “Data4AI everywhere”. The session featured panel discussions on several key AI-related technologies: Advanced data analytics, Hybrid AI, Distributed AI / Edge Analytics, Hardware optimized to AI, and Multi-lingual AI. It also presented the perspective from other initiatives (ECSO, AIOTI,…) and explored potential collaborations. Dusan presented the current state, future directions, and impact of the I-BiDaaS technologies in the context of advanced data analytics.